ACT is very pleased to announce the first annual Seymour Triple G road cycling fundraiser. This event will raise cyclists heart rates as they climb Mt Seymour, and raise autism awareness and funds for the Autism Videos @ ACT project. ACT’s free video project brings professionally filmed and edited videos to families and community professionals who cannot attend our live training. As a part of this cycling challenge, riders will cycle up Mount Seymour – a 15km, 10% grade route! You can register to ride, or if you prefer not to take on that particular challenge, sponsor a ride or donate to ACT. ACT is also seeking volunteers for this event. Registration for the ride, to volunteer and to donate will open on April 13th. Stay tuned for details! When Dr. Vikram Dua presented this talk for ACT last year, the event was sold-out. For those of you who missed this great presentation, it is now available for free online as part of AVA – Autism Videos @ ACT at http://www.actcommunity.ca/videos/. Dr. Dua (who is now Psychiatrist-in-Chief at Surrey Place Centre in Toronto and sorely missed in B.C. ), describes how children with ASD frequently have co-occurring mental health challenges, including ADHD, anxiety disorders and tic disorders, which can be more disabling than autism. He introduces his approach, the Autism Comorbidity Algorithm (ACA), which frames and guides clinical and diagnostic assessment and treatment decisions through a developmental lens. While aimed at clinicians and community professionals, many families will find this a very useful orientation to the widely misunderstood linkages between autism and mental health given the significant shortage of mental health professionals with knowledge of autism in B.C. Individualized Education Plans (IEPs), when done well, track goals and progress for students with autism and other developmental disabilities. This free online video in Punjabi, part of AVA – Autism Videos @ ACT (AVA), describes the process for developing an IEP and what the school and parent can do to support the IEP process. Presented by Raminder Kaur, a behavior consultant with posAbilities, this presentation was developed by Parbinder Bains and Preetinder Narang, both Board Certified Behavior Analysts and Special Educators with the Surrey School District. All three are members of ACT’s South Asian Autism Project (ASAAP). See the ACT in Punjabi page for more information on ASAAP’s work. 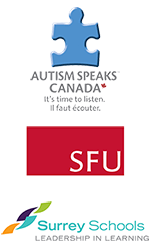 This video was sponsored by Autism Speaks Canada, Surrey Schools and Simon Fraser University. One Parent’s Journey in Autism – in Punjabi – presented by Sunita Braich. Taking Control of the Future – Planning for Families with Special Needs – presented by Blair Dwyer and Layli Antinuk, Dwyer Tax Law. ACT is receiving an increasing number of calls from adults across B.C. seeking an autism assessment. We are very concerned, despite extensive research, that ACT has not been able to identify publicly funded professionals prepared to assess adults. Few of the adults who contact us have the funds to have an assessment done by a psychologist, as this is not publicly funded. Psychiatrists are covered by the B.C. Medical Services Plan but ACT is having increasing difficult in identifying psychiatrists who are willing to see adults who are concerned that they may have autism. The few psychiatrists that ACT is aware of have extensive waitlists. If you know of a psychiatrist, or you are a psychiatrist, who is prepared to work with adults who are seeking an assessment for autism, please email info@actcommunity.ca. ACT’s 12th Annual Focus on Research Conference – Developing Culturally Responsive Research and Intervention Programing will highlight the needs of marginalized families who have children affected by ASD and other developmental disabilities who are not receiving adequate levels of support for their children. These families include First Nations, refugees, immigrants; all those isolated by virtue of language, culture or by living in rural or remote areas. There will be opportunities for discussion and information sharing while learning from those who are engaged in this important but neglected area of practice and research. Researchers, clinicians, educators, social workers, parents and those who work for community organizations are urged to register. Download the full schedule or visit www.actcommunity.ca/education/act-events/12th-annual-focus-on-research/ for details. Parts of the program will be available via live web streaming video for those who register in advance. Many of the families who contact ACT are very concerned about how to help their children who have good language and average or above academic abilities but are still struggling with social awareness and interaction. It is this group of children and adults who are the focus of the Social Thinking approach. Michelle Garcia Winner, founder of Social Thinking, and Dr. Pamela Crooke are back, with two days of Social Thinking inspiration. These events are suitable for those already familiar with the Social Thinking curriculum. Thursday, August 4 – Social Thinking – Informal Dynamic Assessment and Core Treatment Strategies. Delve into the inner mind of a person with social learning challenges though assessment tasks and video. You will also hear about factors to consider when running effective Social Thinking treatment groups. Friday, August 5, Master Class – Exploring Key Social Communication Concepts through Hands-On Activities. Dive deeper into core Social Thinking strategies using videos and hands-on practice. Longitudinal videos of four different clients will demonstrate how an individual’s competencies and focus of treatment changes across a span of 5, 10 and 15 years. Save money and register by the Early Bird Deadline – June 22nd. Call 604-205-5467 or register online. Registration is now open for the always popular five-day Introduction to ASD – Practical Applications course. It will be held July 11-15 in downtown Vancouver at SFU’s Harbour Centre. The workshop will be taught by Dr. Kenneth Cole. A requirement for teaching assistants in many school districts this course is also open to community professionals and parents. Only 30 seats are available – register soon. AID Resources in Korean, Spanish, Punjabi and more! Your Child and Play from Birth to 3 Years available in Chinese, French, Punjabi, Spanish and Vietnamese. Families in small communities work together to pool your autism funding to bring in professionals to see multiple families over a few days. Search the RASP for professionals willing to travel. FaceTime or other videoconferencing tools: As technology improves it is easier to use these methods to consult with professionals. The RASP can be searched to find professionals who use videoconferencing. See ACT’s website for details on these ideas: Accessing Services in Smaller or Isolated Communities. Share your ideas on connecting families and professionals across British Columbia. Email info@actcommunity.ca or call an ACT Information Officer 1-866-939-5188. Mike Lake, MP for Edmonton-Wetaskwin and father of Jaden, gave his annual statement for World Autism Day. He says of his son: “It is an indescribable joy to watch him grow up.” See a video of his statement in the House of Commons. It’s a StarWars theme for this year’s Walk for Awareness in Osoyoos. Starting at Osoyoos Town Square, registration starts at 11am on Saturday, April 16th. See their Facebook post or email Kim at kimlayman@hotmail.com for details. ACT information materials will be available at the walk. Join the 5th Annual PG Autism Awareness Walk. The walk will begin at 2:00 pm with a 2 km walk together to Lheidi T’enneh Memorial Park (ending at the playgound). Details on Facebook page. Hosted by the Northern Interior Autism Society and Autism Society of B.C. The Canucks Autism Network (CAN) on Sunday, April 24th will be at Jack Poole Plaza (Vancouver Convention Centre) for their 5th Annual CAN Family Festival in celebration of Autism Awareness Month. Participate in the autism awareness walk and lighting of the cauldron and enjoy live entertainment, food trucks, exhibitors, face painting, sports activities, trampolines, a mini skate park and more! With special appearances by Vancouver Canucks alumni. For more information, or to start fundraising for the awareness walk, please visit www.canucksautism.ca/CANFamFest. ACT will have a table at this event. Vancouver buildings will join more than 18,000 iconic landmarks, businesses, communities and homes in 143 countries and shine a bright light on World Autism Awareness Day April 2nd. Light it Blue or wear Blue, take a photo and post it using #LIUB or send tojanetanderson@autismspeakscan.ca Register at www.autismspeaks.org/LIUB or check out www.autismspeaks.ca for ways to shine a bright light on autism. The EmploymentWorks Canada program supports youth or young adults with ASD who would like support developing the skills to succeed in the workplace. The program is 2.5 hours of structured learning and 2.5 hours of workplace sampling each week for 12 weeks starting April 1, 2016. The Autism and Developmental Disorders Lab at Simon Fraser University invites parents and children age 7-12, with or without ASD, to participate in research about how children develop social skills for communication and interaction. Parents and children will work together on fun and interactive games. Parents receive $30 and parking remuneration in thanks for participating in the three hour study. Please contact addl@sfu.ca to schedule an appointment or for more information. This entry was posted in ACT Resources, Autism Information Database, Education and Training, Events, Fundraising, Media, News, News Round-Up, Non-ACT Event, RASP news on April 1, 2016 by ACT.